Appearance and colour: White or almost white crystalline powder. Solubility: Very soluble in water, freely soluble in ethanol (96 %)in methanol and in methylene chloride. Therapeutic category:Pheniramine maleate belongs to H1-antagonist pharmacological group on the basis of mechanism of action and also classified in Antihistamine, Decongestant. Pheniramine maleate is an antihistamine used for alleviation of allergy symptoms. Manufacturers frequently list the over-the-counter medication as pheniramine maleate or a derivative. Drug industries also often combine the formulation with other medications for relief of other symptoms. Consumers can generally find the ingredient in an oral solution or tablet form. Certain ophthalmic solutions also contain pheniramine maleate, which provides relief from allergy symptoms associated with the eyes. Allergic reactions are autoimmune responses to certain antigens. When allergens enter the bloodstream, the body releases histamine, which binds with and activates receptor sites, located throughout the body, producing physical symptoms. The pharmacological action of pheniramine maleate involves blocking the receptor sites for the histamine H1, found in the heart, central nervous system, smooth muscle, and vascular endothelium cells. Blocking the receptor sites reduces or inhibits the symptoms. The antihistamine is frequently used for seasonal allergies, such as hay fever, or environmental allergies, such as animal dander. By blocking histamine receptor sites, pheniramine maleate can reduce or eliminate itching, watery eyes, runny noses, and skin irritations. Allergy related skin irritations might include the itching, redness, and swelling associated with eczema or uticaria, commonly referred to as hives (40). The medication may produce a sedative effect when binding to sites in the central nervous system. It also may produce an anticholinergic effect by dilating or relaxing smooth muscle. These side effects sometimes allow pheniramine maleate to be used as treatment for motion sickness or the inner ear condition known as Meniere’s disease. Therapeutic category: Phenylephrine is a sympathomimetic amine that acts predominantly on α-adrenergic receptors. It is mainly used to treat nasal congestion, but may also be useful in treating hypotension and shock, hypotension during spinal anaesthesia, prolongation of spinal anaesthesia, paroxysmal supraventricular tachycardia, symptomatic relief of external or internal hemorrhoids, and to increase blood pressure as an aid in the diagnosis of heart murmurs. 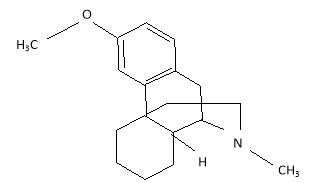 Diphenhydramine is an inverse agonist of the histamineH1receptor. 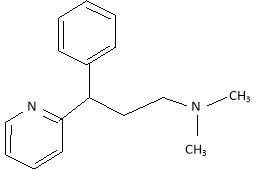 It is a member of the ethanolamine class of antihistaminergic agents. By blocking the effects of histamine on the capillaries, it can reduce the intensity of allergic symptoms. Diphenhydramine also crosses the blood–brain barrier (BBB) and antagonizes the H1 receptors centrally. Its effects on central H1 receptors cause drowsiness. "Pharmacological Profiles of Several Common Drugs." UKEssays.com. 11 2018. All Answers Ltd. 04 2019 <https://www.ukessays.com/essays/chemistry/pharmacological-profiles-common-drugs-2752.php?vref=1>. "Pharmacological Profiles of Several Common Drugs." All Answers Ltd. ukessays.com, November 2018. Web. 24 April 2019. <https://www.ukessays.com/essays/chemistry/pharmacological-profiles-common-drugs-2752.php?vref=1>. UKEssays. November 2018. Pharmacological Profiles of Several Common Drugs. [online]. Available from: https://www.ukessays.com/essays/chemistry/pharmacological-profiles-common-drugs-2752.php?vref=1 [Accessed 24 April 2019]. UKEssays. Pharmacological Profiles of Several Common Drugs [Internet]. November 2018. [Accessed 24 April 2019]; Available from: https://www.ukessays.com/essays/chemistry/pharmacological-profiles-common-drugs-2752.php?vref=1.